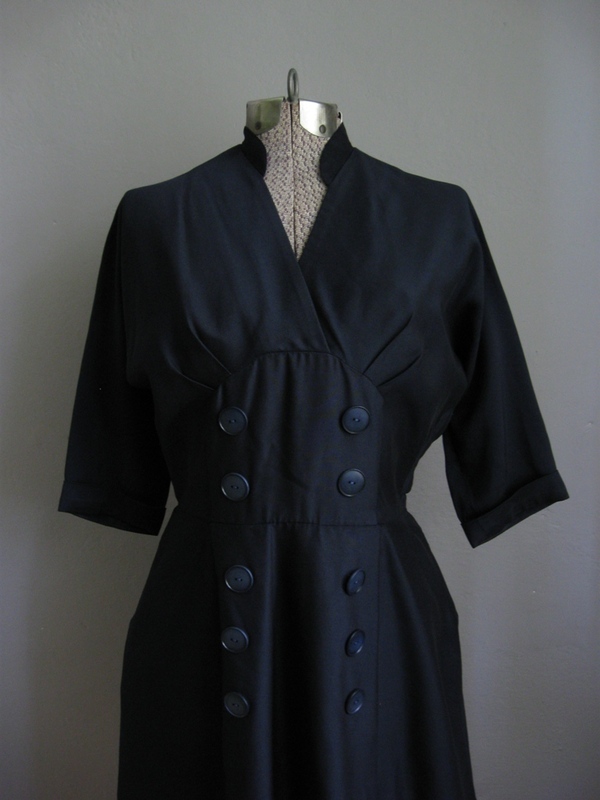 There I was, scouring the racks of a dusty Salvation Army for the umpteenth time, when to what to my wondering eyes should appear, but a smart little double breasted dress with impeccable 1950s tailoring. 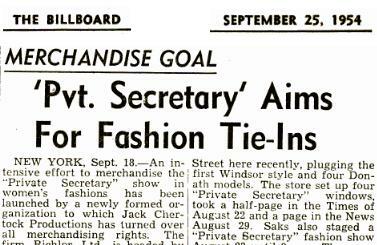 I was even more excited to behold the label — “Private Secretary” by Kay Windsor. One of the original 1954 designs! I stuffed it greedily into my cart. The line was dubbed “The Look Career Girls Love,” and was very popular with young women who wanted to invest in smart, stylish work-wear. Two other Private Secretary franchises included a line of skirts and sportswear by Ernest Donath, and an eyewear collection by Flairspecs. Ann’s wearing glasses on the show had made them a popular fashion statement of their own for the well-dressed woman. 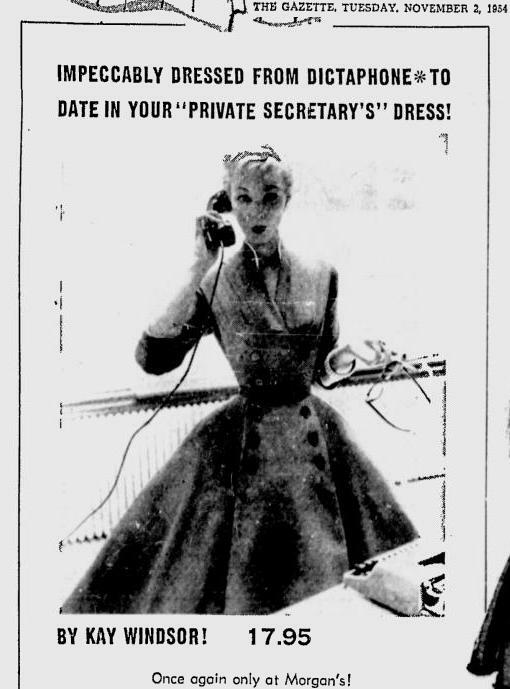 Here’s my dress in a 1954 Montreal Gazette ad! In 1955 the “Private Secretary” line evolved into “Secretary-of-the-month”, presumably as the partnership with the TV show ended. 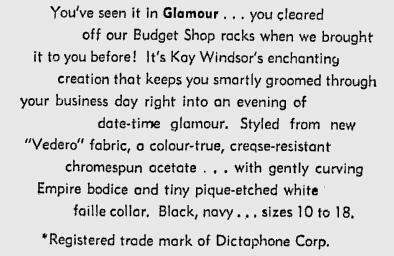 Under the new name, contests were held where participants could win a free Kay Windsor wardrobe — one dress for every month of the year. What a score! Kay Windsor was bought in 1971 by Vanity Fair, who eventually discontinued the line in 1982.